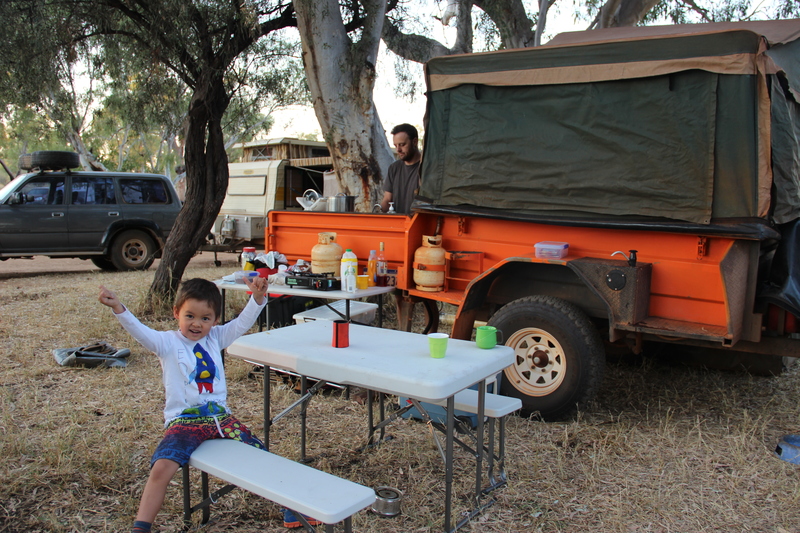 In mid-2014, my little family and I made the trek across the country from BME (Broome) to BNE (Brisbane). Yep, towing our camper trailer and camping along the way for two blissful weeks. It was so awesome to have the opportunity to see parts of the Northern Territory and Queensland as we set course for Brisbane … on a one-way journey. As for work, I’ve taken a slight break while I focus on settling the boys into our new life here – but I’m heading tho Denmark (WA in the next couple of months to work with the amazing Annette Carmichael on her new project – The Creation of Now. Uber exciting. I’ve also met some great artists in Brisbane and the Gold Coast and look forward to making and developing some more connections in the not too distant future. There’s so much going on here! It has been some months since the experience of Because of You… came to a close. However plenty is still replaying over in the mind. Because of You… the cast and crew, we accomplished someting beautiful and life changing. It was an amazing experience that far exceeded my own expectations – and could not have been a success without the most amazingly flexible, understanding, supportive and dedicated cast (both young and old). Because of You… the audience, we realised we could engage across all generations. Then came the people who walked through the doors and experienced the giant robot and sunflowers and saw something that stirred them. Whether it was a 12 month old child wandering into the performance space to dance with us, or a Grandma, or even the 20 young daycare kids that had to kneel on their chairs to see the whole show. All remained engaged throughout. And at the end – you didn’t want to leave the space! Because of You… the creatives, we have touched many people through the power of live performance. And the patient and amazing group of CREATIVES that supported my concept and helped me see it into something REAL. Thank you for asking all the right questions – and for finding the answers with me along the way. Most of all my mentor – Felicity Bott – who all along believed that it would be something beautiful and offered her knowledge and learnings so generously. And Annette Carmichael who never stopped listening and reminding me of the scale of the undertaking. To my family – young Eddie and hubby Rob. You made your debut in contemporary dance! Because of You…my family, I dreamt this in the first place. AMAZINGLY courageous and ambitious. Well done. It was incredible…the humour, the tenderness, the grittier moments. Great footage. I found it to be a very emotional experience. Well done. The parent child playfulness – loved it. Loved the innocence. Wow that was such a gorgeous touching performance. Really gave me goosebumps…Fantastic! The Mulberry Tree children did not move once they were so engrossed with all. 15 minutes of this for every parent each day would result in a better world. We are very close to our first performance of this community contemporary dance work here in Broome. 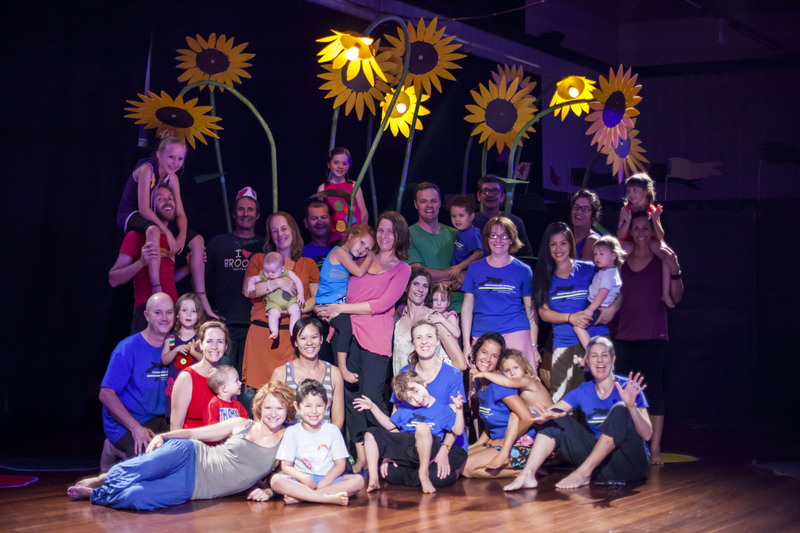 A dozen child/parent pairs are going to take to the stage in three performances for the Broome community. The show is just around the corner…..
Hopefully you will see this poster all about Broome over the next couple of weeks!! 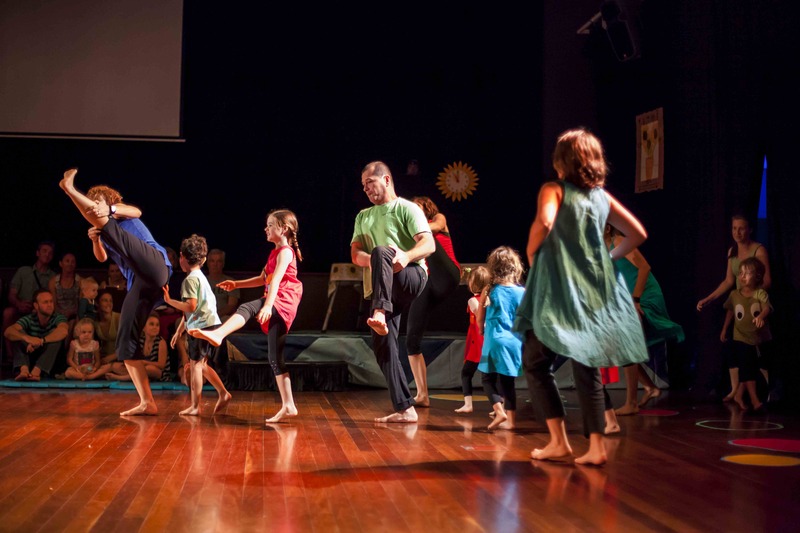 Broome is just one of the three regional WA towns that will take part in AusdanceWA’s FUTURE LANDINGS 2013 initiative. Check out this clip for background about each project and meet the Choreographers and Mentors working in each town. You can read more information about Future Landings 2013 by clicking on the website link. Because of You…. is the title of Broome’s project. 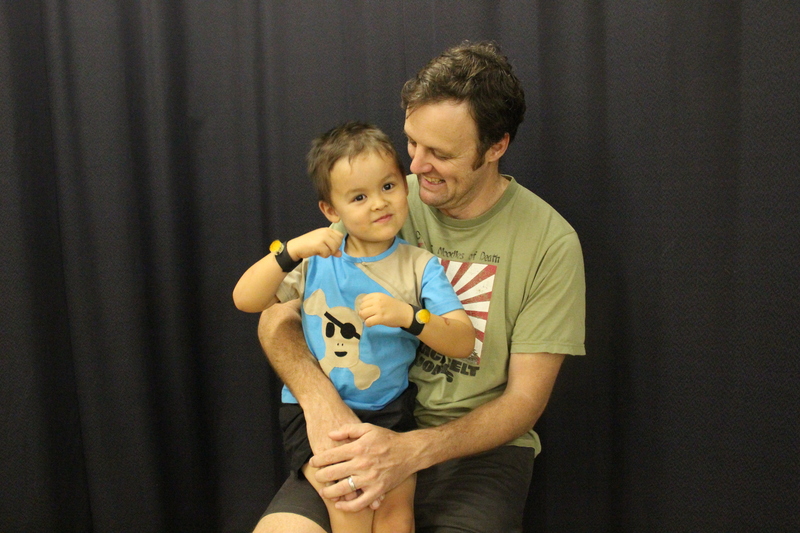 Workshops for parents and kids launch in Week 2 of Term 2. See more information on the Because of You A4 poster. The design brief has just been sent to the Graphic Designer for the flyers and posters that will help to KICK OFF the next project. The first phase is a series of creative play workshops to be held throughout the Broome community. 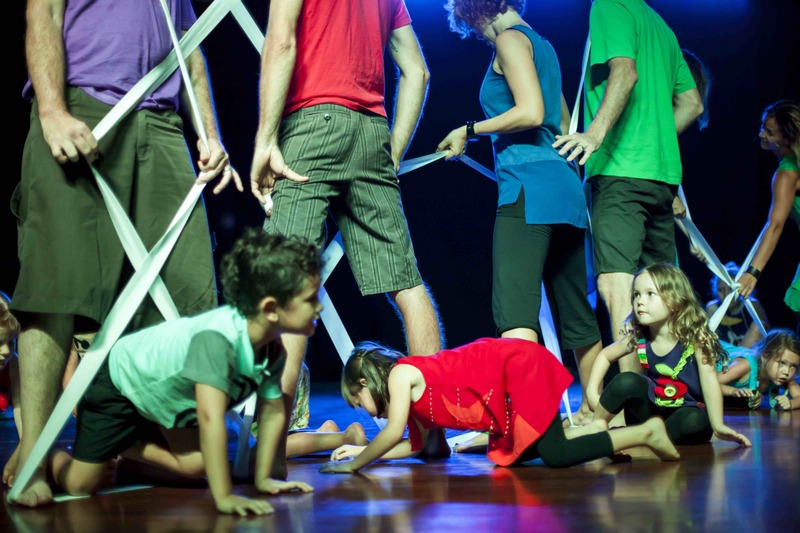 These workshops are the first steps towards a larger creative performance that will be held in Broome later this year. Do you like to play games and have FUN with your child? Do you want to SHARE a creative experience together? Does your child like to EXPRESS themselves through movement and dance? Group 1 starts Tuesday 14 May 2013. Group 2 starts Tuesday 11 June 2013. No dance or movement experience required. Grandparents welcome. Registration essential. Email <fun@sandiwoo.com.au> for more information. Want to come an join me in the studio? A relaxing, gentle, non-threatening environment – where we give ourselves permission to be still.. and to move.